Almost all of us geeks have at least one or two old computers hanging around the house, in a corner, in a basement, attic, etc. 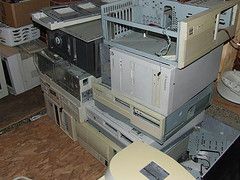 Most of the time these, possibly, useful computers go to waste and eventually sit in that same corner, basement, or attic for years until being wastefully thrown away out of necessity. Fortunately, this does not have to be the case for all past acquaintances. Today, I will show you how to put your old otherwise junky desktop to great use as a Home Media Server. You don’t even have to build your own PC from scratch – you can use the parts from those old computers. Lets begin! Now that you have a shared home server directory set up you need to be able to start sharing your files! 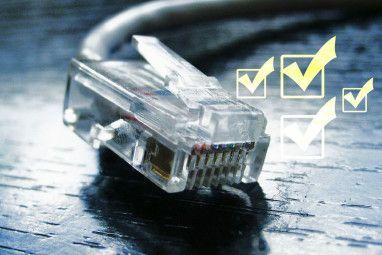 To do so, simply go to your other computer(s) that you wish to access these files at and click on “Start” and then right-click on “My Computer” and select “Map Network Drive.” Now, click “Browse” and select the name of the home server and click the “+” beside it to expand the options and click the folder that we just created. 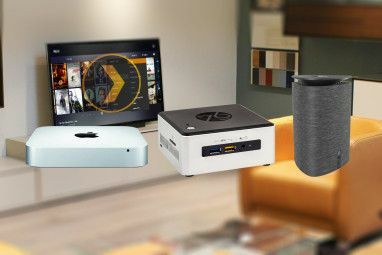 Do you use a Home Media Server? What do you use it for? Tell us in the comments! 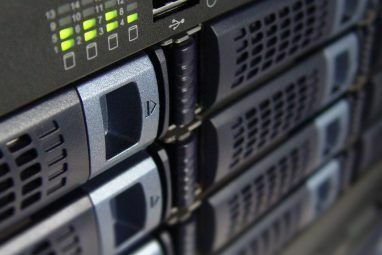 Explore more about: Computer Networks, Media Server. Thanks for the article. Sorry for all the hate getting thrown your way, but I didn't know that all tutorials had to be bigger, better and more comprehensive than those that came before it. Really, all you need for this is a dedicated PC and some remote desktop software, though. Nothing could be easier.. Thanks for this article. Sorry for all the hate getting thrown your way, but I didn't know that all tutorials had to be bigger, better and more comprehensive than those that came before it. Really, all you need for this is a dedicated PC and some remote desktop software, though. Nothing could be easier..
160GB backup drive, all PCs in our home backup to it at 3 a.m. ever sunday. 250GB music server, currently holding over 6,000 songs, 20 movies, 50 audiobooks, 2000 apps (iPod apps), and 40 TV episodes. I just get this PC in the basement and administer/ add to it via Remote desktop connection. I also have remote access to it via hamachi, so i can listen to all of it via my netbook anywhere. P.S. all this done by a 13 year old. yea...and? This is like when I built my first PC using instructions from a magazine article cause I was too lazy and impatient to go to school for PC repair....when I was finished I was like, "big deal!what's so hard about it?" Since then I feel like either I'm some sort of mega-genius or people are making computers/software sound REALLY complicated so they can keep their jobs.....I'm sure the latter is more likely the case. If you don't like the article, then don't post, Simple. Anyway, this post tells you how to build a home media server, which it did, and it works, so everyone with a problem just wants to act bigger and more important than they are. DPS9682, do you know what a "Home Media Server" is? This is actually a very basic "File Server" and it happens to store media files. We're posting our discontent because we have grown to look to MUO for advanced ideas and concepts. We want MUO to grow and prosper, this is what brought us here. If we are constantly mislead and spend the time reading the article, and then re-read it over again because we thought we missed something, this will make your followers look elswhere and not want to waste their time on your website. I'm guessing that if my network is already called something more creative than MSHOME I would not leave this new PC I'm adding to it set to MSHOME? Come on. You didnt build a home media server, you build a pc and shared folders with media files in them. With this title, I guess I was expecting more than just a "how to share and map a drive".